Whether it’s a single PV system on a household rooftop or a sprawling, utility-scale PV field, a diverse range of environmental and operational variables come into play and affect energy and power production, overall systems performance and length of useful life. Varying solar irradiation levels, weather conditions, dust, dirt, rain and snow figure into the picture, along with panel or equipment failures that can cause partial or whole system downtime. The inability to accurately and comprehensively model, analyze, predict and adapt to these various factors can, and does, result in poorer than expected solar power and energy production and systems performance. That, in turn, comes at costs, lowering benefits and financial returns and the “bankability” of prospective solar energy installations. Solar energy performance analytics/asset management companies, such as Napa, California’s Clean Power Research (CPR); Hoboken, New Jersey’s Locus Energy; and Bratislava, Slovakia’s Solargis are making significant strides when it comes to improving the forecasting and diagnostic analytic capabilities of their respective cloud-based software-as-a-service (SaaS) platforms and product lines. Of the variety of factors that can reduce PV production, cloud cover numbers among the single most significant and most common. As Napa, California-based Clean Power Research (CPR) points out in a blog post: “When the sky is clear, solar energy production is stable and prediction is straightforward. Clean Power Research and other innovative, tech-driven developer-vendors are pushing the envelope of solar energy forecasting, electricity production and systems analysis and management further out, creating innovative new models and fine tuning them by enhancing the spatial resolution of data collection and analysis down to the site level, and temporal resolution to hours and even minutes, as well as out further to 30, 45 and 60 days or longer, CPR’s president of software services Jeff Ressler explained in a telephone interview for Solar Magazine. Most NWP models do not run at spatial resolutions high enough to simulate clouds explicitly, the company continues. Instead, they deconstruct cloud processes into key numeric parameters. That constrains NWP model’s forecast accuracy and ability to model variability in forecast surface solar irradiance. 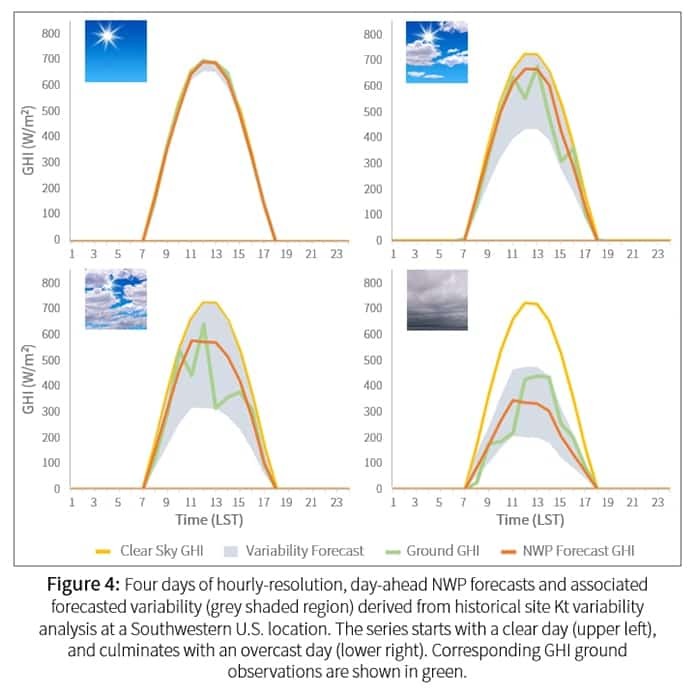 “Even as NWP models become more sophisticated with increased resolution, it is challenging for most NWP models to predict anticipated variability caused by small scale clouds, especially over a single PV site,” Dise points out. On clear days the variability of the solar energy that reaches the earth’s surface is high and doesn’t vary much. At the opposite end of the clear/cloudy sky spectrum, solar energy/power production is lower than average and does not vary much on days when skies are heavily overcast, CPR elaborates. Similarly, “on days with heavy overcast, the variability range associated with the NWP forecast is not significantly large, again enabling grid managers to make a smart decision to purchase less day-ahead reserve power” because they can line up their own reserves more accurately in advance. In contrast, the degree of difficulty rises when partly cloudy conditions are forecast. Forecast variability for solar energy production is large in these cases, an issue CPR’s resolves with its SolarAnywhere platform. Combining satellite and ground-level data collection. monitoring, analysis, forecasting and diagnostics, Clean Power Research is in the midst of implementing an innovative forecasting method that incorporates intelligent, site-specific variability of solar irradiance to its day-ahead forecasting capabilities. “This variability forecasting update will help independent system operators and other market players make smarter decisions about how much reserve generation is needed to ensure grid reliability. The variability forecast specifics are derived from SolarAnywhere historical data, and can be applied at any location covered by the SolarAnywhere data footprint,” Dise writes in the company’s blog post. At present, SolarAnywhere’s spatial monitoring, data collection and resource assessment/analysis capabilities extend across North America, from Canada to 50º N latitude, as well as across the continental U.S. Hawaii and Mexico. End users are able to access SolarAnywhere data on demand over a standard data set that dates back to 1998 at anytime, from anywhere. That includes from mobile network devices, e.g. smartphones, tablets, etc. Spatial resolution extends from 10×10 square kilometer areas down to 1×1 sq kms, while temporal resolution at three levels is offered: hourly or sub-hourly from 1998 to the present and 30 minutes ahead out to seven days. APIs enable in-house or third-party developers to incorporate SolarAnywhere data and power simulations directly into their own databases and applications. Data points incorporated in SolarAnywhere’s data sets are equally weighted across time – historic data carry equal weight when running through the platform’s analytics engine, Dise explained during the telephone interview. Standard temporal resolution extends down as fine as hourly, but CPR has extended it further, down to one minute for specific customer applications upon request, he elaborated. CPR gives customers the ability to assign different weighting factors to SolarAnywhre time-series data, but the company doesn’t recommend doing so, however. SolarAnywhere has provided hour-ahead forecasts for some time. More recent efforts to better understand and model cloud cover have borne fruit, affording customers the ability to collect more granular, higher resolution data over shorter forecast horizons. By and large, two factors are pushing these efforts forward, Dise explained. Increasing solar and renewable energy generation, and more recently distributed energy storage, capacity also figure importantly in the trend, Dise added. “Transmission and distribution utilities in California are putting systems in place to integrate and more efficiently manage more in the way of distributed ‘behind the meter’ solar-storage capacity. The ability to measure the quantity of “solar fuel” incident on any particular solar PV site serves as the single most critical, most important element forming the foundation of SolarAnywhere’s analytics, Ressler explained. In fact, SolarAnywhere has proved its worth in exactly such situations, as well as others. That includes monitoring and accurately forecasting solar PV operating conditions and performance during the recently ended, five-year drought in California, as well as the drought that affected Texas and much of the western US in 2012, Ressler noted. Turning to the bottom line, “the interest of our customers lies primarily in the context of solar financing – the ‘bankability’ of prospective PV installations, usually at the utility-scale. The other principal context originates from the operational standpoint – having the ability to accurately forecast solar PV production and overall systems performance. 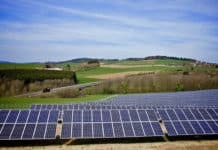 That includes utility PV producers and grid operators responsible for balancing grid loads and generation at any given time,” Ressler concluded. The owners and operators of a typical, hypothetical utility-scale solar PV generation facility of 20-50-MWs may have thousands of dollars potentially at risk due to under-performance. Those costs might result from lost revenue opportunities due to less than expected electricity generation, say from curtaiilment due to over-production, or charges imposed by utility distribution or independent grid systems operators or regulators for falling short of expected dispatch levels, Ressler said. Locus Energy carries out performance monitoring and data analytics services for solar PV energy producers across the residential, commercial, industrial, and utility sectors. 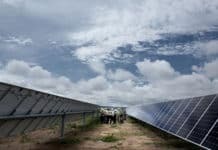 According to a Feb. 28 press release, the company’s solar monitoring fleet has surpassed 5.0 gigawatts (GW) of solar capacity globally, 4.8-GWs of which is located in the U.S.
That puts the percentage of total U.S. solar power capacity the company monitors and analyzes via its cloud-based SaaS platform at 13.5 percent (the U.S. Solar Energy Industries Association (SEIA) pegged the national total at some 35.8-GWs as of the end of 2016’s third quarter). Furthermore, more than 3.0-GWs of Locus’s total solar PV capacity under management was added since the start of 2016, a 150 percent increase. “This milestone reflects continued record growth in solar, as well as a growing recognition of the important role that Locus’ asset monitoring and analytics services play in achieving long-term investment return,” management highlighted. On June 1, Locus announced the addition of the Virtual Irradiance (VI) Performance Waterfall – a “game-changing” loss-estimation feature – to its SolarNOC™ Platform. The new product analyzes power generation data direct from a solar meter to determine whether PV panels and inverters installed “behind the meter” on utility customer sites are working as expected. When they aren’t, the application determines probable sources of the discrepancies and presents ways of resolving them. Those discrepancies might result from panel clipping, shading, soiling, snow cover and/or equipment degradation and partial or whole system downtime. As the company explains: “Using these loss estimates, operators and owners of solar assets can better understand the as-built performance of their assets. This information helps reduce unnecessary truck rolls, increases fleet productivity, and improve the feedback loop around design and quoting. The VI Performance Waterfall marks the latest milestone in Locus’s ongoing efforts to leverage all the data streams coursing across the installed base of SolarNOC platforms and associated products by making use of the latest remote sensing and data-driven computational statistical methods and techniques. The ultimate goal is to continually improve customers’ ability to forecast and manage their solar PV assets, thereby enhancing overall benefits and returns. 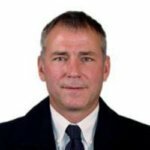 VI Performance Waterfall adds to the solar irradiance measurement and forecasting capabilities incorporated in the SolarNOC platform’s original core Virtual Irradiance (VI) measurement and forecasting engine, CTO Shawn Kerrigan highlighted during a telephone interview. 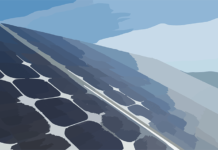 Locus engineers wound up zooming in on soiling as a key, long suspected but somewhat neglected source of PV system under-performance during the course of developing VI Waterfall, he and lead analytics programmer Charles McBrearty explained. PV panel soiling (accumulation of dust and dirt) degrades electricity generation and systems performance. Moreover, soiling varies with geography, and exhibits distinct seasonal patterns. All that said, soiling is among the second-order factors that can result in lower than expected PV generation and systems performance. “From our perspective, system downtime in general plays a very big role in under-performance. 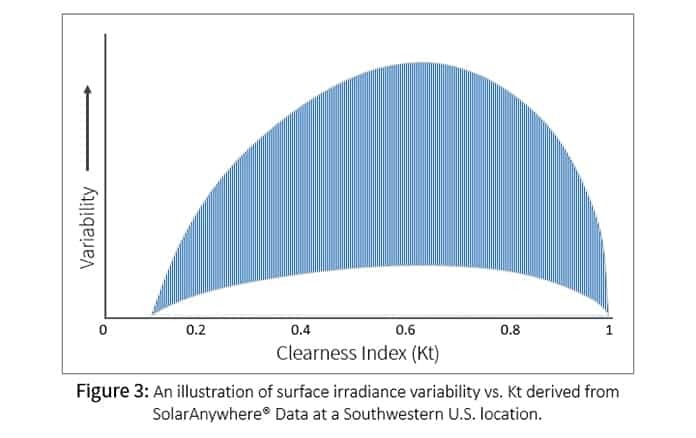 Soiling trends (dust), as well as shading, stand out as well,” McBrearty elaborated, noting that Locus addressed solar irradiance, which encompasses cloud cover, in the original VI analytics application. “Cloud cover poses a major challenge, but our VI product captures very detailed data that gives customers a picture of cloud cover from both spatial and temporal perspectives over time,” McBrearty continued. “One of the really interesting things that arose from our studies was that soiling, which a lot of people in the industry suspected was a bigger factor in production shortfalls and system under-performance, is actually a much bigger deal in places such as in Arizona, where there isn’t a lot of rainfall, as opposed to say, Massachusetts, where there’s a lot of solar PV as well but rainfall is much more consistent throughout the year. We not only confirmed that, but put numbers to it,” McBrearty added. More broadly, Locus’s goal in developing VI Performance Waterfall was to provide customers’ the ability to diagnose PV generation shortfalls and systems under-performance comprehensively with a much greater degree of accuracy and timeliness, as well as attribute actual performance shortfalls to specific causal factors, McBrearty told Solar Magazine.